Detailed soccer players silhouettes of two men playing football. 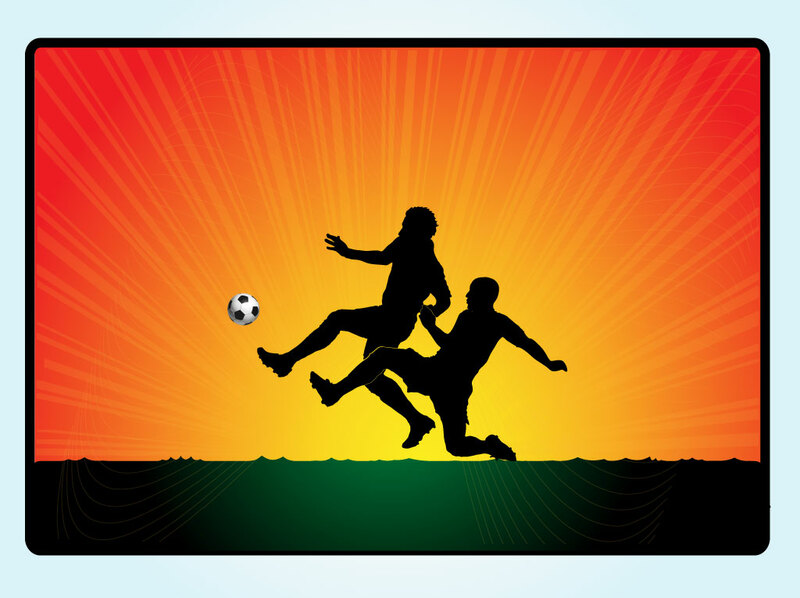 Sunset image with black vector cutout outlines of two athletes battling over the ball. Dynamic sports graphics set on a light blue gradient background image. Free download for your action sports themes, fan website images and fantasy league flyers. Download sports silhouette vector art layout for your action, exercise, game, dribble, kick, play, running, contest, competition, UEFA, FIFA, Euro and World Cup graphics. Tags: Dribble, Fifa, Game, Kick, Pass, Score, Shot, Soccer Vector, Sports, Uefa.